Our team are now looking into further expanding our events and specifically Blue Flag. To bring more to the community of DCS, it will require more funds and your support, therefore we have decided to open a Patreon page. In the Patreon subscription page we can manage specific goals we would like to achieve. 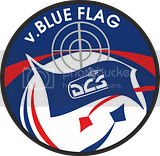 The first goal we have set is to continue the development of Blue Flag and expand it. In this goal we bring you dynamic content with the latest DCS has to offer. BuddySpike team has been running Blue Flag for over 3 years while basing on sponsors or the team members squadrons assistance. It was our pleasure to get so much assistance from everyone and we will continue to work on providing quality simulation game play to DCS World. We thank you all for any subscriptions or donations! First and foremost, we would like to wish you all a happy new year! 2018 is already showing it's markers to be a very interesting year with DCS. BuddySpike team is excited with the new 2.5 consolidation and latest patches in 1.5 that allowed us to bring back Blue Flag to Caucasus for all our members. With the latest patches of 1.5, previous issues that did not allow Blue Flag to run on Caucasus map are now resolved, we can see the server holding stable with around 50 players, it's our goal to stabilize it as much as possible before moving on with further features. With the above, we would like to announce that we will be trying to hold "Squadrons Blue Flag" as soon as possible, registration will be opened on the ED forums. Blue Flag's 9th round ended. Reds are victorious! The battle lasted for 13 days with 1153 registered pilots fighting hard for their sides. Preparations for the 10th round started on our new DCS Server sponsored by Blix Solutions. The server is currently up and running under the name "Buddyspike - www.blix.com". Feel free to join and provide us feedback or feature requests for the upcoming round. Based on your reports and local testing, we will announce the changelog & new features soon. "Korea Flag" & "Squadrons Blue Flag" are around the corner too. Once the server is ready we will announce more on that. After quite a long break, Operation "Blue Flag" is back online! Round 9 starts this weekend. Stay tuned for the official announcements, for the next rounds and for the upcoming "squadron only" Blue Flag version. The server is currently up for testing and training. Operation "Blue Flag" Round 8"
Testing continues for Blue Flag's new round. Round 8 presents a Nato vs Russia concept with weapons restrictions for both sides. They consist new groups that include EWRs, Air defence units & Armed Houses. Their purpose is to provide better picture to Ground commanders as they are placed in locations that had blind spots before. Both sides can capture them as all other assets (Airbases, FARPs, Cities). The official start day will be announced soon so stay tuned!